NCC is committed to making music matter to the community and making it matter for each other. Each week we meet, encourage each other and make music together. We do raise money to help make music matter to others, but it takes dedication to make music matter each week in rehearsal. Join us in making music matter each week, it is worth the effort! ​"In Memoriam: A Musical Tribute to the Veterans of Ware"
A concert to benefit choral music program at Congress Middle School led by Francie Sipes. A concert to benefit the Benjamin Banneker School at 31 W. 8th Street, Parkville MO. NCC was able to donate over $700 to the Banneker School Restoration Project. We were excited to be able to donate to this wonderful organization for the third time and are grateful to our wonderful audience who helped us support the Banneker School. NCC was able to donate $1550 to Family Promise of the Northland. We were excited to be able to donate to this wonderful organization and entertain our audience with this wonderful Mass by John Rutter. Family Promise of the Northland is a nonprofit organization committed “to help unemployed and underemployed homeless families in Clay and Platte Counties achieve self-sufficiency.” Their main focus is to help client families get back into permanent, sustainable housing and employment as quickly as possible. While in the program, participants receive food, shelter, and comprehensive support services. Client families also have the opportunity to develop enduring life skills through individualized case management by staff and through personal mentoring by volunteers. Thanks to all who support this amazing organization that supports families in the Northland. "Animals, Animals, Animals: All Creatures Great and Small"
A concert to benefit the Friends of Parkville Animal Shelter. NCC was able to donate $700 to the Animal Shelter. We were excited to be able to donate to this wonderful organization and entertain our audience with pieces about the animals of this earth. We went to deliver a check to FOPAS and were greeted by this lovely pup, Kellar. She is blind and the money we donated will go toward surgery to restore her sight. Such a sweet girl and a great donation! Thanks to Leslie and the rest of the team that donates their time at the shelter to care for these lovely animals. A concert to benefit the Benjamin Banneker School at 31 W. 8th Street, Parkville MO. NCC was able to donate over $1000 to the Banneker School Restoration Project. We were excited to be able to donate to this wonderful organization for the second time and are grateful to our wonderful audience who helped us support the Banneker School. 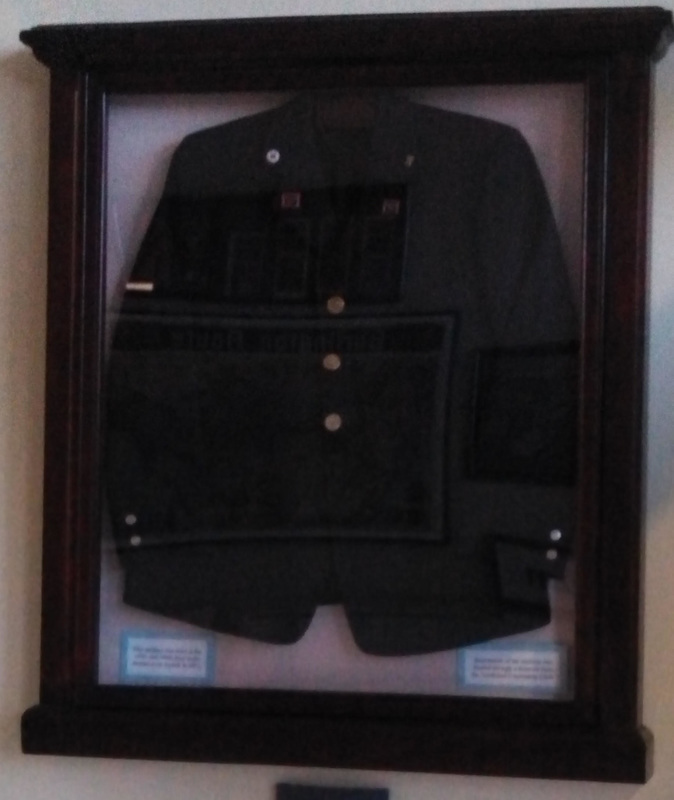 "On Rivers and Rails: Parkville's Story in Song"
We are happy to have been able to contribute to the effort to restore and preserve this beautiful Train Conductor's Jacket. 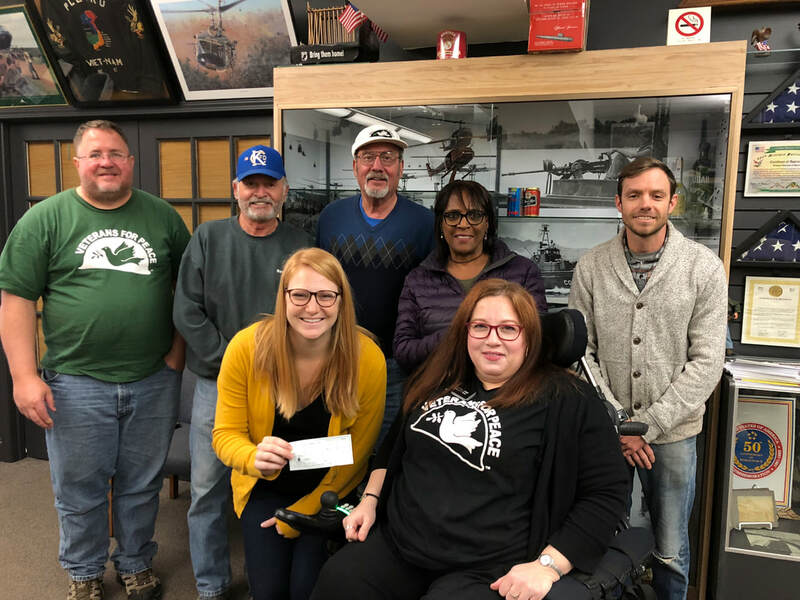 Thanks to the Parkville Railroad Collection and Museum for everything you do for Parkville history! "Chocolate, Carnations & Love Songs"
Thank you to all who braved the snow to support this cause! The proceeds of our 2014 Valentine's Day concert benefited Hillcrest Transitional Housing. Hillcrest Transitional Housing offers homeless families, singles & youth a disciplined educational program within a caring, supportive environment. Unlike many organizations whose focus is one-time or emergency care, Hillcrest’s primary objective is to move clients from homelessness to self-sufficiency within 90 days by addressing the total life situation of the homeless families they serve, though longer term transitional housing options may be available to clients with excessive barriers to housing. Hillcrest also provides a transitional housing program for homeless teens and young adults, ages 16-21, who have an educational goal. This unique program offers housing & supportive services for up to 24 months. In exchange for rent/utility-free housing, adults are required by written agreement to find full-time employment, obey program guidelines and attend weekly volunteer-taught classes in life skills, employment, community living and budgeting. Hillcrest also provides to clients in the transitional housing programs the following, through a network of community support: auto repair/donation, food pantry, medical assistance, dental work, GED classes, haircuts, glasses, school clothes, work uniforms, etc. The Hillcrest affiliates are each stand-alone non-profit 501c3 organizations, with five affiliate locations in the greater Kansas City Metro area – Platte, Buchanan, Eastern Jackson Counties in Missouri and Wyandotte & Johnson Counties in Kansas – supported by the local communities and community service volunteers. Thank you to all who contributed to making music matter for our schools! A concert to benefit the Benjamin Banneker School at 31 W. 8th Street, Parkville MO. NCC was able to donate over $500 to the Banneker School Restoration Project from proceeds of the May 12, 2013 concert. We want to thank our generous audience and friends of the choir who contributed to this effort.